Whether or not competition between artists is a good thing is the subject of opinion. Some believe competition inspires creativity. Others do not. Rivalries among artists are not new. Perhaps, it is human nature for some to be competitive. For artists, it can be a blessing or a curse depending on the individual. Stories abound of famous rivalries. The competition between Michelangelo and Leonardo da Vinci is said to have been fierce, especially on the part of Michelangelo. According to an article for The Guardian by Jonathan Jones, the competition Michelangleo felt towards Leonardo was so bitter, Leonardo left Italy for France to escape it. Leonardo strongly felt the need to be removed from the fierce rivalry. On the other hand, Michelangelo, was reported to have been inspired by the competition he felt for Leonardo, Titian and other great artists. 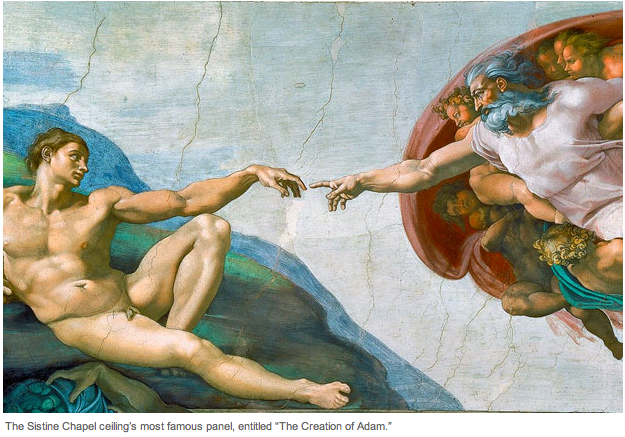 Martin Gayford revisits the Michelangelo/Leonardo rivalry for The Telegraph. Gayford states of Michelangelo, “his career was fired, and darkened, by bitter, personal rivalry with other artists.” Michelangelo was driven by a deep competitive nature. Much of the art world is geared toward competition. Juried shows are everywhere and have a long history. Many artists repeatedly enter multiple juried shows creating for the themes of the shows. A theme can inspire artistic direction. Installations and exhibitions are based on the judgment of the installation directors and are also frequently based on specific themes or goals. Artists find fuel in these directions, as well. But what of the artist who is not inspired by the Michelangelo competition? What of the artist who prefers the Leonardo escape? This artist may follow a different drummer or no drummer at all. While the outward push may be to travel with the competitive pack, the lone artist must be true to the personal inner direction. There is a place for both. One artist may lead the pack in Italy while the other follows the road to France. Great art is made in both places. It is up to the artist to choose. Michelangelo or Leonardo? You decide.